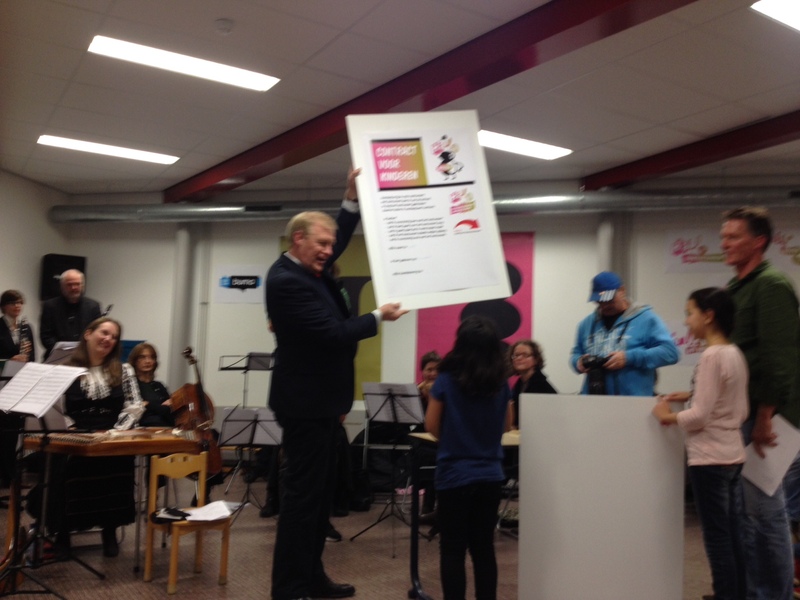 Today, I was at the kick-off of a new program for music education for elementary school children. 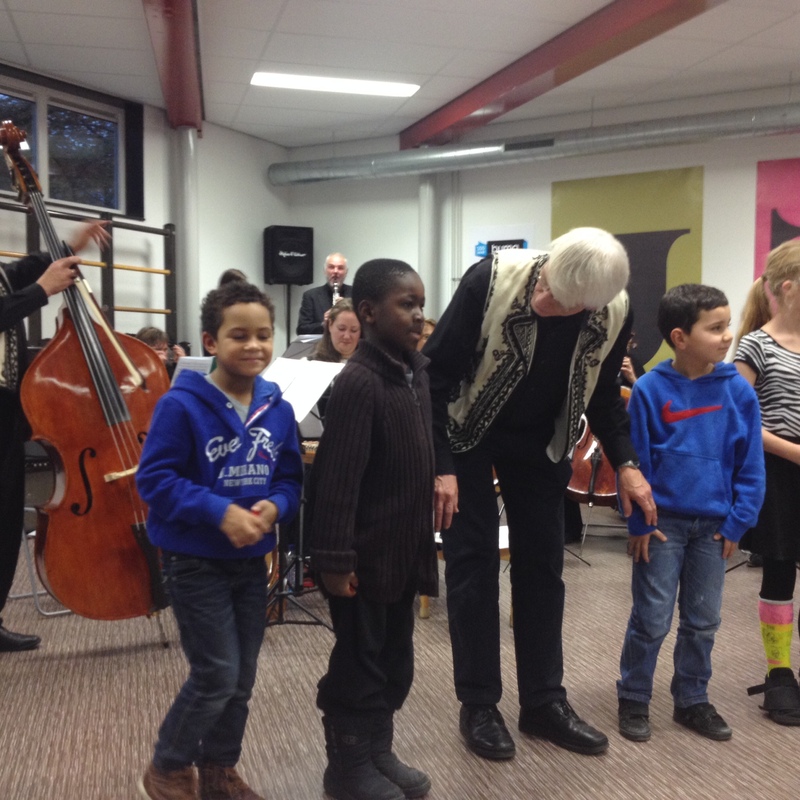 The program is based on an English system that teaches children from 4 years of age about the essence of music. 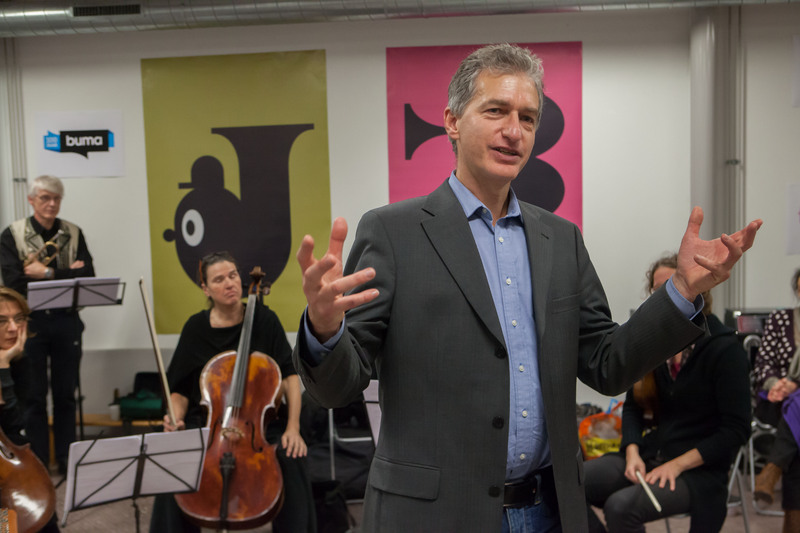 One of the reasons I was there was because I managed to contribute a substantial amount of money to the program via BUMA Cultuur and the 100th anniversary celebrations. During the kick-off, Jane Culter from Da Capo London gave a demonstration of a sample lesson. She had a simple song based on a minor third, just two notes and a rhythm based on eight notes and quarter notes. It was a simple song structure and everybody could sing the song in just a few seconds. She then had everybody clapping the rhythms, and demonstrating the pitches with hand signals à la Kodaly. At a certain point, she instructed the group to only sing the eight notes and to think the quarter notes in our heads. Next, of course, we were only to sing the quarter notes, and think the eight notes. The final step was for the entire group to think the song entirely in our heads. It was a simple moment, yet extraordinarily mind-boggling. Here were forty or fifty people completely connected to each other in utter silence. And not only that, here were four year-olds who within two or three minutes of education, were able to make abstractions. The possibilities of teaching children abstraction as well as internalizing thoughts is simply amazing. It forms a basis for almost everything we need to know for the rest of our lives, from internalizing emotions to conceptualizing mathematics. Not to mention the team work and team building, being able to convert abstract symbols into simple commands and physical coordination. And of course I’ve left out the most obvious aspect of this lesson: the simple joy and complete uselessness of singing a silly song together.